Wondering what to do on a Thursday night? Join us on June 1st for a VIP screening! Join us for a VIP Screening of Wonder Woman! At Allied Technology Group, we can help you overcome any challenge—even when that challenge appears to be insurmountable. We are the right ally. We have an arsenal of “super powers” behind us with managed services built on a Cisco backbone. Together, we can help you unleash your business’ full potential in the marketplace. 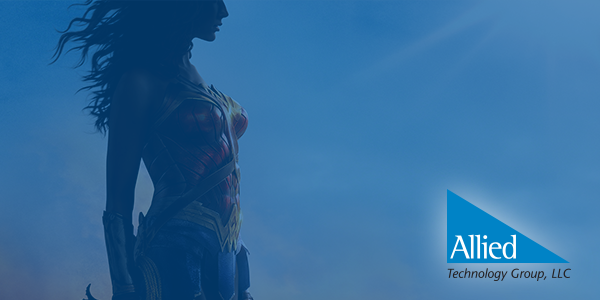 We invite you and your guests to join us for a special VIP screening of Wonder Woman on June 1, 2017. Doors open at 6:30PM and concessions will be provided! Don't miss your chance to see Wonder Woman before anyone else!